This small village man, still working hard at his age of 60 to help people while sharing his experiences — free of cost. 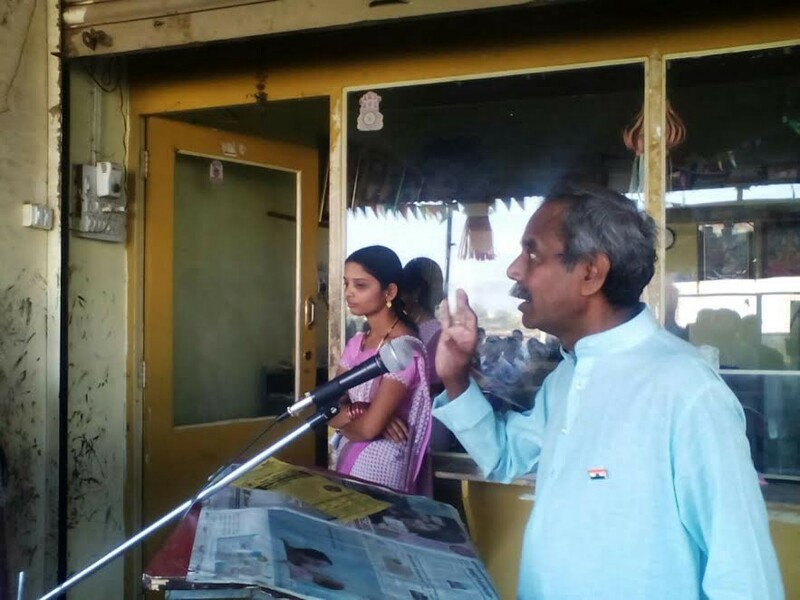 This determination and spirit have helped him bring alive his big dreams, and become a mentor for many lives Mr. Suresh Joshi, 60, involved in so many non-profit social initiatives. Born and brought up in Maharashtra — India, Joshi’s struggle started right from getting basic cloths & education. “My father would earn Rs 5 a month. We were among the families of 11 member that struggle to search for two meals a day,” he recalls. Things were not at all manageable in 1965. “I was in Standard IV and was preparing for my board exams (during those days IV was a board exam). We couldn’t even afford to buy books and cloths. Sensing that my future was at stake, I decided to go out for part-time work to earn some money,” says Joshi. Everyone faces insecurities and other challenges. Joshi did too. But he wanted to redefine it, and encourage people across the country to understand their hidden potential. “Being a social mentor, helping to those who are suffering from Arthritis, I am also serving for Mission Arthritis India (MAI),” he says. Having seen extreme hardship, Mr. Joshi, who is now working with a Non-Profit Organization in India as a Director, has been spending his maximum time of education development in rural areas. “Till now, I have attended 500+ varieties of social conferences as a speaker and will continue doing so. During my college life worked with Shri. Atal Bhihari Vajpeyi (Ex Prime Minister of India), at the time of Emergency declared by Indira Gandhi, has reached up to prison, as I was member of RSS. Worked for society and an appreciation comments were passed by Shri. Balasaheb Thakare too. Currently not at all concerned with any political parties however like to support the vision of Shri Narendra Modi. Focused towards ‘Jan Prabodhan’ i.e. ‘ Social Work’ he adds.